I’m even more confused. The progress and growth of data.gov has been significant. The number of agencies publishing datasets (174 at the time of writing) has grown over the last four years and in the best case scenario what I’m seeing is roughly about one third of datasets on the catalog compared to one year ago? I haven’t found the time to look in depth just yet but I’m pretty sure that’s not the case but more a matter of a usability issue on one hand and different ways of counting datasets over time on the other. This shows something I mentioned quite a few times before and that gives title to this blog post: counting datasets is bad. And, in fact, is quite meaningless. I understand that data catalogs need to show a total number somewhere but the issue here is the interpretations that might be derived from it. I heard people claiming that catalog X is better than catalog Y because they are publishing so many more datasets and, frankly, this is a totally questionable claim. In fact, we’re yet to determine what makes an open data catalog good and why catalog X can be considered better than catalog Y. 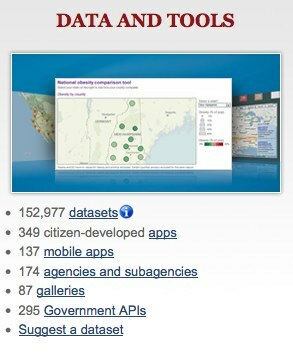 The bottom line to me is: the number of datasets is just a simple metric that tells very little about the usefulness of an open data catalog. We need more research to understand these issues and the impact of open data in general, even to understand whether or not an open data central point of access (a data.gov. * website) is the best way to achieve the promised benefits of open data.